How is 2018 almost over already?! I swear I was just ringing in the New Year, celebrating my wedding anniversary, and turning 31. Now I’m preparing to travel for Thanksgiving and to shop for Christmas presents. I might be an adult in years, but my inner child breaks free on a semi-regular basis with her love for unicorns and mermaids. Last year I even bought myself a pink stuffed unicorn who I’ve affectionately named Eunice. Recently I attended a dear friend’s unicorn wedding, proving I’m not the only adult who loves unicorns and mermaids! If you’re looking for magical gifts for adults who love unicorns and mermaids, this gift guide is for you. Note: I received many of these products to review. Anything marked with an * is a PR sample that I did not purchase myself. However, I’m only including products I genuinely like in this list! This post also contains affiliate links, which means I might earn a commission if you purchase something. One of the perks of adulthood is decorating your own space! Do any of your friends and family need magical home decor and sparkly dishes? 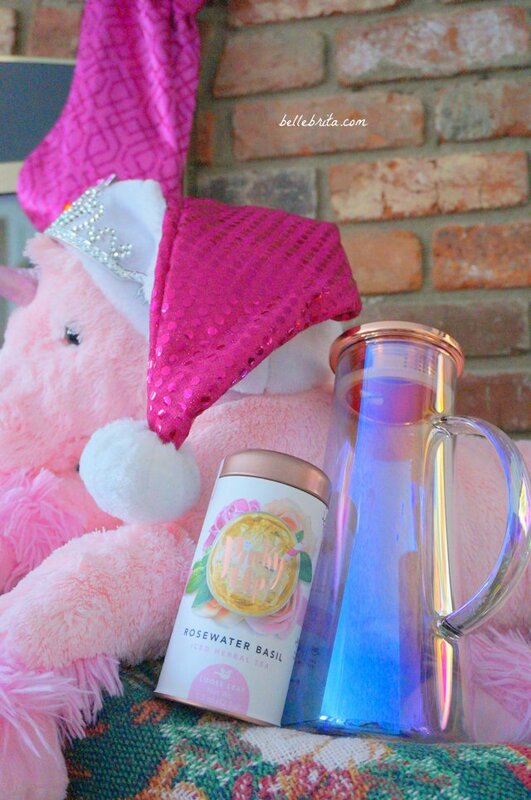 These gifts add subtle flair to the home of any unicorn or mermaid! Color-changing sequinned products are all the rage. Not to go all hipster on you, but I’ve been into sequins since before they were cool… And I’ll still be into sequins if they ever go out of style again! 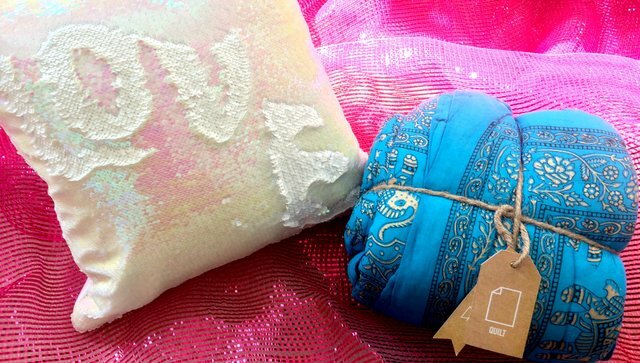 I love this gorgeous iridescent mermaid pillow by Ankit. My husband and I enjoy creating different designs in the sequins. While Ankit no longer carries this exact pillow, they still sell other mermaid pillows. You can find more color options on Amazon. I wanted a mermaid blanket for SO LONG, but it felt like such a frivolous purchase. So my husband surprised me with it a year or two ago! I’m not sure which version he bought on Amazon, but my blanket looks a lot like this one, except mine didn’t come with a necklace and bag. Amazon sells tons of other mermaid blankets in different styles and colors, at different prices. 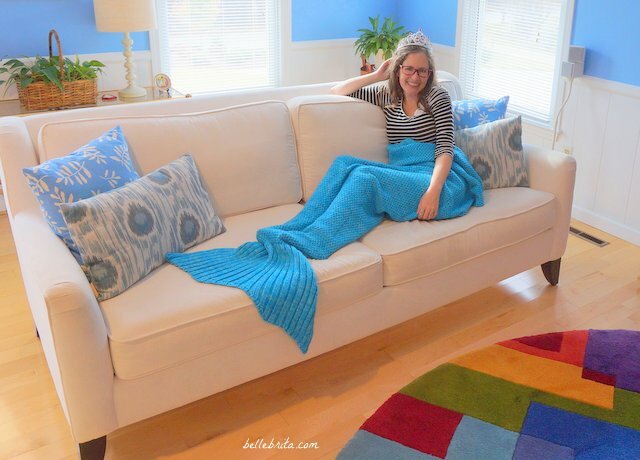 If you’re looking to buy a mermaid blanket in a store, both Target and Bed, Bath, & Beyond sometimes carry them. Did you know unicorns love iced tea? It’s true! Brew your favorite loose leaf tea in this iridescent glass pitcher by Pinky Up. The lid includes a filter so you can easily pour a glass of pure iced tea, leaving the tea leaves, fruit, or fresh herbs in the pitcher. I found mine on sale at my local Kroger Marketplace. I can only find the plain glass version online, which isn’t as pretty. Pinky Up also offers a magical tea selection. Find a variety of black teas, green teas, and herbal teas at Pinky Up’s website and on Amazon. You can also shop in person at Kroger or Dillard’s. Staying hydrated has never been so fun! With a screw-on lid, this double-walled plastic tumbler is spill-proof and practically unbreakable. I’ve had this tumbler for about two years now and use it all the time to drink water throughout the day. 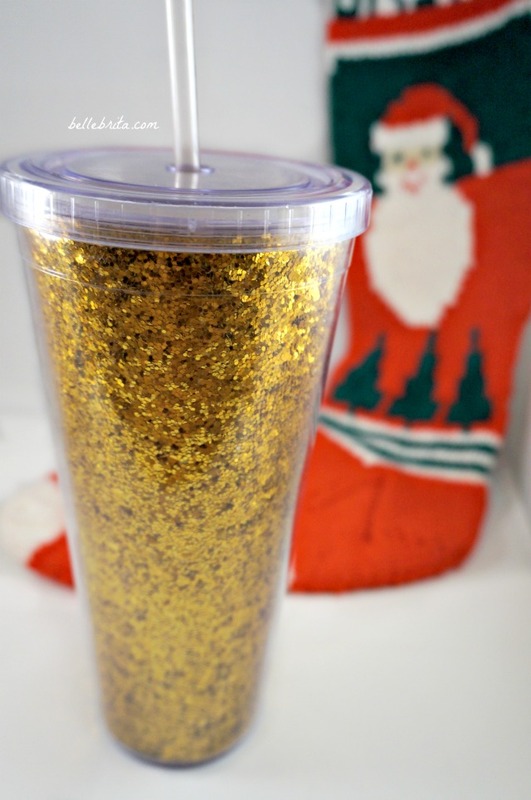 Blush sells this glitter tumbler in both gold and in silver, available on Amazon. You can also look for it in stores. I’ve found some Blush products in my local Kroger Marketplace. In a lot of ways, I’m still very much a beauty newbie. I don’t wear makeup daily. Beauty tricks like contouring confound me. Only recently have I purchased primer and setting spray to help my makeup last longer. All that said, I never lost my childlike love for playing with makeup–regardless of whether or not I know what I’m doing! Nor have I abandoned my teenage affection for body glitter and shimmery makeup. At least I finally figured out that lavender lip gloss looks terrible with my skin tone! These beauty products are the perfect presents for anyone who wants to add a little magic to their makeup routine. 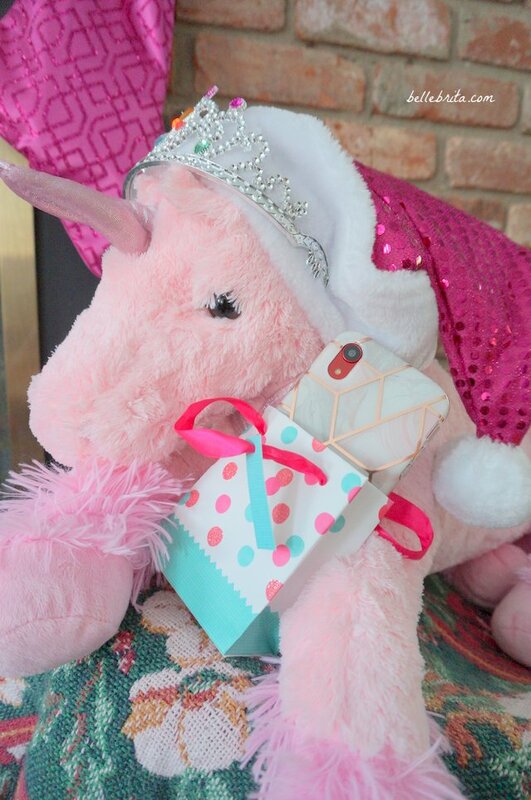 Beauty accessories are perfect for any unicorn or mermaid this Christmas! These gift ideas are available at multiple price points. I bought both the makeup bag and the brushes at Five Below, where all products are $5 or less. With the current popularity in unicorns and mermaids, you should be able to find similar products at Target and department stores. This bag is so me!!! I am the perfect blend of mermaid, unicorn, and princess. In general, a good cosmetics bag is always a practical gift with a creative flair. I received a matching set of three for a high school graduation present–and I still use them! Owning cosmetics bags in different sizes is so handy for travel. I don’t want to use the same bag for a two-week trip that I use for an overnight stay. I haven’t actually tried these unicorn makeup brushes yet, but I love how pretty they are! For their price, I won’t mind if they just decorate my vanity. 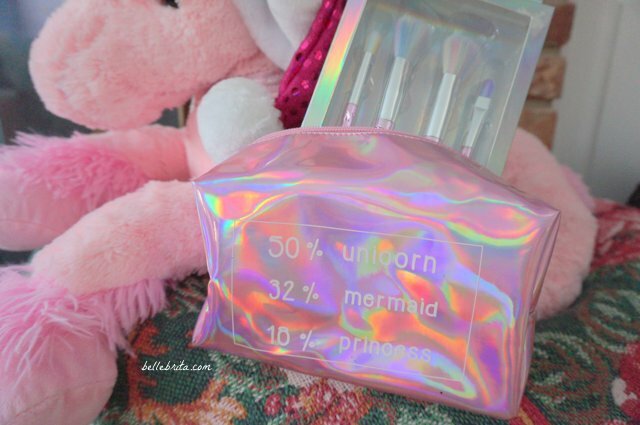 Unicorn makeup brushes and mermaid makeup brushes are quite popular now. I’ve linked multiple options below if you want to shop online. For a more subtle princess brush set, check out these rose gold brushes on Amazon! I ordered these for myself several months ago, and I’ve been quite impressed by their quality so far. 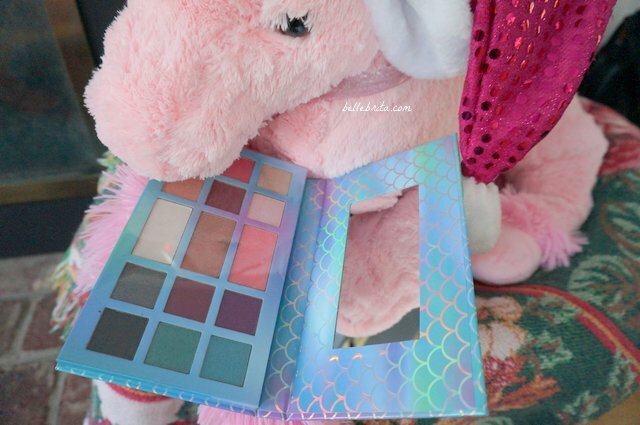 Unicorn palettes, mermaid palettes, and princess palettes are all the beauty rage right now. I found this mermaid palette at Five Below for $5.00. It’s a great palette for a young person just starting to learn about makeup or for a young-at-heart person who wants to experiment with bright eye shadow before investing in it. If you don’t live near a Five Below, or you can’t find a good mermaid palette, check out Revolution Beauty. You can order the following inexpensive eye shade palettes online. Of course, if you know someone who loves colorful makeup, you can buy a nicer palette with a magical theme. Sephora and Ulta both carry beautiful palettes at a variety of price points. You can also order online directly from beauty brands. Tarte and Pixi Beauty both have products on my Christmas wish list! Tarte’s Make Believe in Yourself Vault is GORGEOUS if you really want to splurge on a loved one–or yourself. PixiGlow Cake is the prettiest three-in-one highlighting blush compact. Grab a few of their Endless Silky Eye Pens for inexpensive stocking stuffers. I already ordered a few ColourPop presents for myself from their Disney Designer Collection. About half the collection is already sold out (after the initial restocking!) so snag these shimmery shades while you still can. If your magical lips don’t twinkle on their own, add a little shimmer and sparkle with lip gloss. These make the perfect stocking stuffers for any magic-loving friend. I found these at Five Below, but you can shop any drug store or supermarket for sparkly lip gloss. Unicorn hair is a popular trend these days, but salon prices can be steep, especially for someone not ready to commit to multi-colored hair. These colorful hair chalks wash out in the shower, the perfect way to try out unicorn hair without the financial or long-term commitment. I found mine in Five Below, but you should be able to find them in Target, or maybe a drug store with a large beauty section. 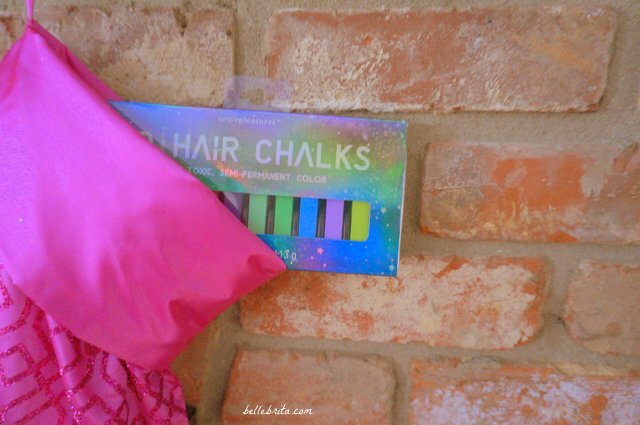 These hair chalks on Amazon have good reviews if you prefer shopping online. With a little imagination, the possibilities are endless! Anything pink, purple, silver, gold, or sparkly will be perfect magical gifts this holiday season. I’m pretty sure that all unicorns and mermaids of drinking age exclusively drink sparkling wine. Pair a bottle of bubbly with this adorable book of cocktail recipes for the perfect Secret Santa gift! 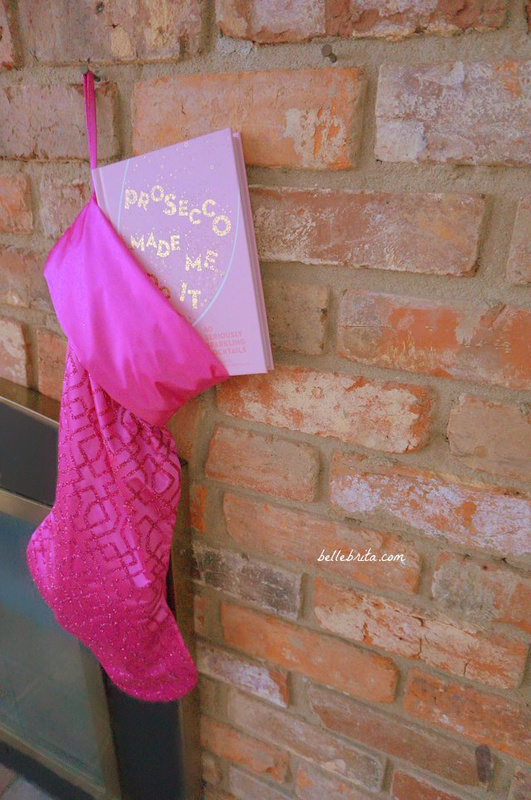 Prosecco Made Me Do It (review copy) is the cutest illustrated book of sparkling cocktail recipes. I’m on my fourth smart phone ever since I bought my first one, seven years ago. To the surprise of no one, I always use pink phone cases to protect my smart phones. i-Blason is a local Georgia company that creates a wide variety of phone cases. They have sent me several protective phone cases to review, including this marble and pink gold iPhone X designer case. It’s one of their Cosmo styles, a dual-layer design that features a stunning back plate. The other styles are a blue and gold marbled effect, pink glitter with stars, and purple glitter. Don’t worry, the glitter is under the smooth plastic exterior! Not all Cosmo styles are available for every phone, but this marble and pink gold phone case is available for iPhone X/XS, iPhone XR, iPhone XS Max, and Galaxy Note 9.
i-Blason carries a wide variety of phone and tablet cases. You’re sure to find the perfect case for all your family and friends! This is another great stocking stuffer idea. i-Blason even has a Unicorn Beetle collection. Add a little sparkle to your coloring books with glitter pencils. I received glitter crayons one year as a child and absolutely loved them. 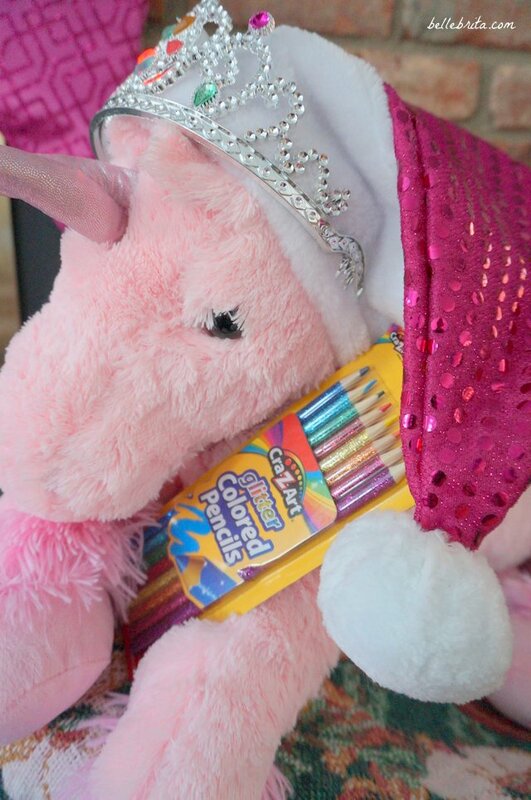 Sparkly pencils (or pens, or crayons) are a great gift for all ages. Pair them with a coloring book, and you have an easy, personalized Christmas gift. This little book of positivity features everyone’s favorite mythical creature. Each adorably illustrated spread includes a funny or inspiring piece of advice, reminding you to follow your dreams, and always think unicorn. The perfect gift for a friend in need of a boost, this cute and covetable book is bound to spread smiles wherever it goes! Be a Unicorn and Live Life on the Bright Side (review copy) is an adorable book with colorful illustrations and uplifting messages. 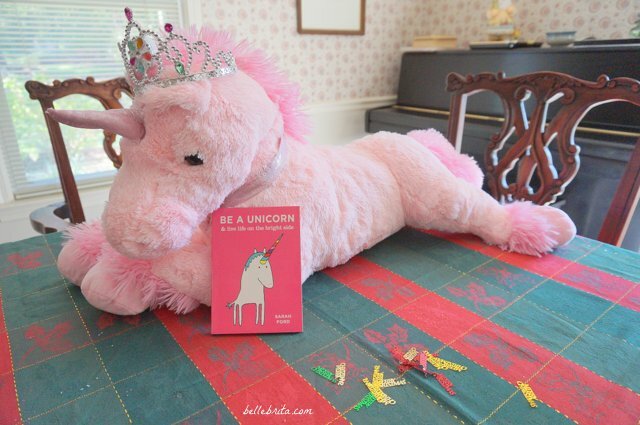 This is the perfect stocking stuffer for anyone who has ever wanted to be a unicorn. Thus ends my magical gift guide! What’s on your holiday wish list? If you secretly want to become a mermaid or a unicorn, I can’t help with that. However, these gifts can help you believe in magic, and then who knows what might happen next!